Blissful Color Mist Pearl Napkins are the perfect complement for your special day. Customize by choosing your napkin color and pearl foil color. 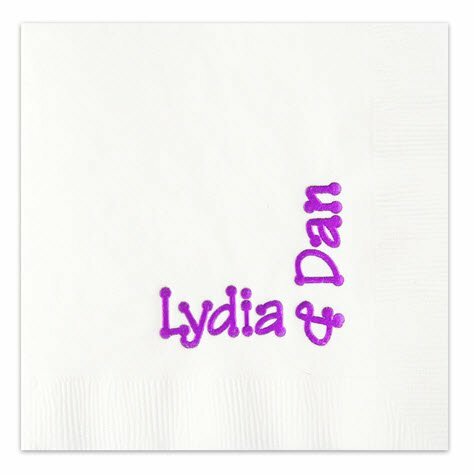 Includes 100 personalized 3-ply Blissful napkins unless you specify another quantity below. Price: $40.00 In stock! - Browse this brand: Print AppealOur products are custom made to your specifications. This product ships up to 3 weeks after your order is placed. Please select your napkin color below. Please select a font style.